Point2 Homes gives you far more than a simple list of houses for sale. Get instant access to a lot of relevant information about Weyburn, SK real estate, including property descriptions, virtual tours, maps and photos. The search results pages also have a wealth of information on Weyburn, SK, if you scroll all the way down. 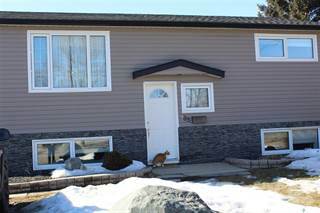 There are 180 houses for sale in Weyburn, SK. 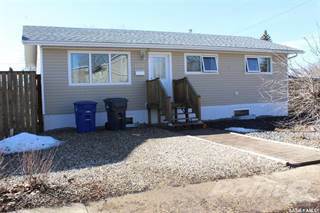 Searching homes for sale in Weyburn, SK has never been more convenient. With Point2 Homes, you can easily browse through Weyburn, SK single family homes for sale, townhomes, condos and commercial properties, and quickly get a general perspective of the real estate prices. Also, you’ll never miss a bargain if you filter listings based on house price drops in the past six months. Use the map view to find Weyburn, SK homes and apartments for sale, based on amenities or city features that you may want close by. You can close in on a specific neighbourhood or area by simply drawing around them with the polygon or radius tools. Stay informed about the latest entries on the real estate market by saving your searches. This way, you get new listings in your inbox, daily or every week, based on your preferences. If you’d like to get in touch with a professional, agents are displayed next to their listings, and they’re easy to contact through the online forms. If you want more options, you can click the Tools tab and Find an Agent, and you’ll get a list of helpful and knowledgeable real estate agents in Weyburn, SK. Visit the Point2 Homes blog and you can find up to date expert advice on many markets throughout Canada, regular market reports, neighbourhood scoops in cities throughout the provinces, real estate deals and useful recommendations. Weyburn is a city of over 10,000 people in the southern portion of Saskatchewan. It covers 15.78 square kilometres southeast of Regina, near the communities of Cedoux, Colgate, Trossachs, and Yellow Grass. Highways 13, 35, and 39 intersect in the heart of Weyburn, and the Souris River crosses the city from the southeast to the northwest. Highway 35 provides access to the Canada/U.S. border south of Weyburn, which is an approximately one-hour trip. Weyburn’s name is said to come from the Scottish “wee burn”, which refers to a small creek. Weyburn’s northern section includes an airport, residential areas, parks, a hospital, schools, a leisure centre, churches, and a few small businesses such as salons, auto parts suppliers, and convenience stores. The central section of the city has residential areas, restaurants, retail stores, a museum, accommodations, an industrial area, churches, parks, a mall, service providers, a college campus, a library, community halls, a movie theatre, and schools. Residential areas make up the majority of the southern section of Weyburn, along with parks, schools, a bowling alley, restaurants, a campground, and an arts centre. The Soo Line Historical Museum houses a number of displays and artifacts related to the history of the area, including photographs, documents, the world’s largest private silver collection, and various Weyburn memorabilia. The museum offers group tours and has an onsite gift shop with many local goods and souvenirs. Tourist information for the area can also be found at the museum. The Signal Hill Arts Centre has a pottery studio, a gallery, multipurpose rooms, a photography darkroom, a kitchen, office spaces, and a South Saskatchewan Regiment Museum display. Works by local artists can be viewed in the gallery. Parks in Weyburn include River Park, with a large greenspace, treed areas, a playground, a spray park, and a disc golf course; Elks Park, with 1.5 hectares of greenspace and a playground; Kinsmen Park, featuring a playground, picnic tables, and greenspace; Creeks Park, with a large play structure; Don Mitchell Park, with treed areas, greenspace, a playground, a wading pool, a spray park, and restroom facilities; and Jubilee Park, which has multi-sport fields, ball diamonds, tennis courts, an outdoor rink, a playground, walking paths, treed areas, greenspace, restroom facilities, benches, and flower gardens. Weyburn’s largest industries include agriculture, manufacturing, oil and gas production, healthcare, and tourism. Some of the items manufactured in and around the city include wood products, steel buildings, concrete, windows, plastic pipe, and wire and cable. Grain is the primary agricultural product in the area, and there is a large livestock feed supplement company operating here. The majority of businesses operating in the city are small businesses (fewer than 50 employees). The City of Weyburn, the Weyburn Regional Economic Development Office, and the Weyburn Chamber of Commerce all provide resources, support, and investment for the city and surrounding region’s businesses and economic activity. The northern section of the city offers newer-built, higher priced single-family homes, older and more affordable single-family homes, condo options with prices close to those of older single-family homes, and affordable mobile home options. Vacant land is also available at a variety of price points. 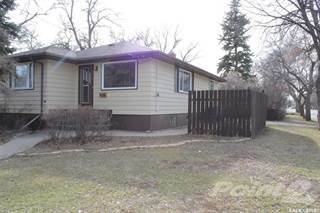 Older single-family homes, mobile homes, and new and old condo buildings make up the majority of the real estate options in the central section of Weyburn. Lot sizes tend to be a bit smaller in this section than they are in the northern section. Industrial, office, and retail commercial space can also be found throughout this section at a variety of price points. Weyburn’s southern section includes mostly mobile home options and older single-family homes, most of which are reasonably priced. More expensive, newer single-family homes can be found along the edges of the city. Schools in Weyburn include Souris School, Haig School, Weyburn Comprehensive School, Assiniboia Park Elementary School, Queen Elizabeth School, Weyburn Junior High School, and St. Michael School. Other schooling options in nearby communities include Stoughton Central High School, Midale Central School, Saint Oliver School, and Radville Regional High School. The only post-secondary option in Weyburn is Southeast College, which offers programs in arts, cooking, trades, agriculture, trucking, business, technology, and university preparation. Other options can be found in Regina, including Saskatchewan Polytechnic, First Nations University of Canada, and the University of Regina.